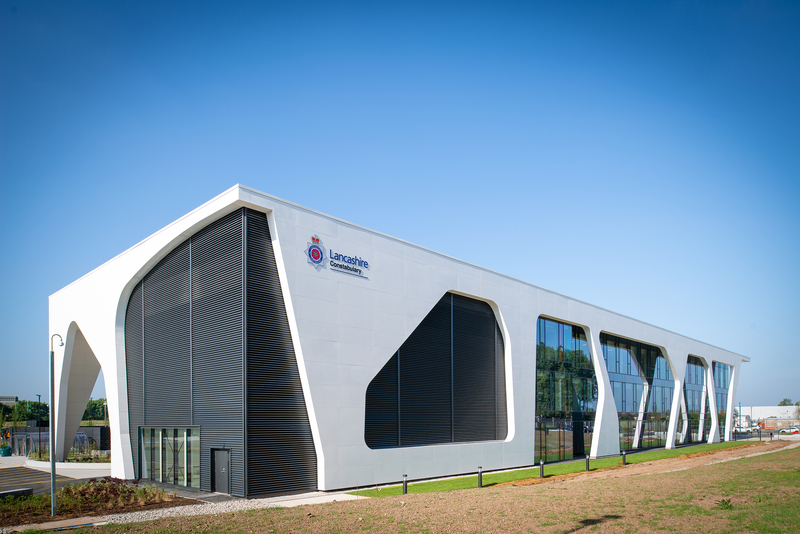 When Lancashire Constabulary relocated its police station in Blackpool to a new headquarters close to the M55, it was the biggest investment in the force’s history. 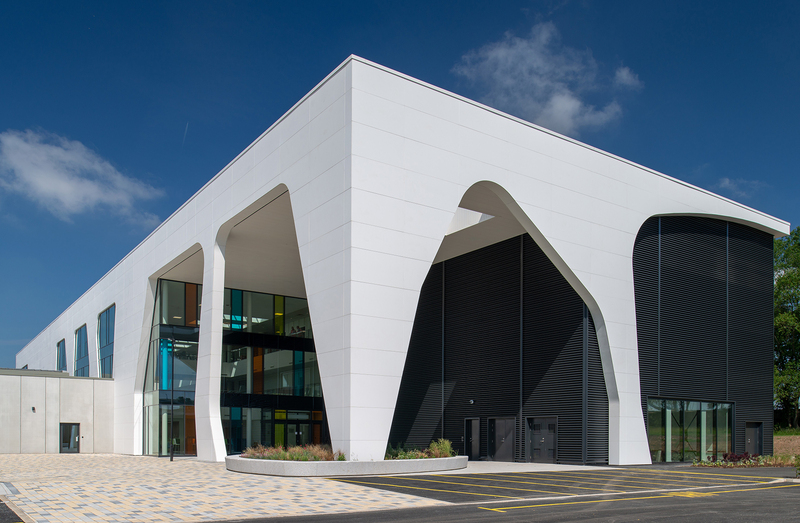 The need for a long-lasting, durable cladding material that would add character to the building was paramount, and Corian® Solid Surface fitted the bill perfectly. The former police station on Bonny Street, built in the mid-70s, was judged to no longer meet the standard for modern policing; therefore the force looked to a new-build solution. 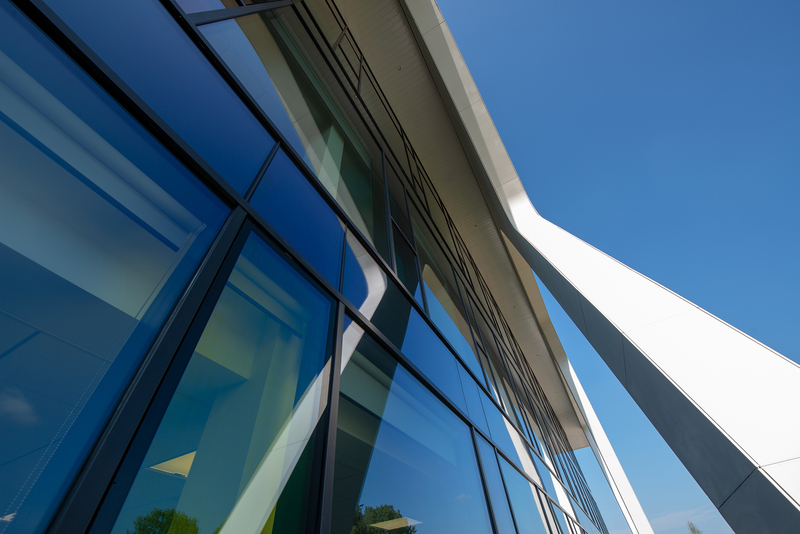 Work was completed on the new HQ in the summer of 2018, with the finished project comprising offices, 42 custody cells, and an investigations hub with state-of-the-art facilities such as CSI labs. The force undertook a land swap with the local authority to acquire the new site further from the waterfront which offered a larger footprint and better transport connectivity. What’s more, the creation of the new HQ brought inward investment to a disadvantaged neighbourhood. McBains Architects won the design contract following a competition between qualifying practices, organised by the Scape framework – an organisation which matches specific local expertise to public sector projects. The architectural practice created a vision for the building which was commanding but not intimidating in a way that reflects its civic identity. As well as being aesthetically appealing, the brief also prioritised functionality, longevity and sustainability. “It was important that the building reflected its relationship with Blackpool as a seaside location. And while the design needed to incorporate protection against security threats, there also needed to be a degree of ‘transparency’ especially in terms of the communityfacing aspects of the building. The idea was to avoid a completely uniform appearance for the building but to create something characterful and unique. Project Director for McBains Architects. 1,600m2 of Corian® in Glacier White, expertly fabricated into cladding panels reminiscent of seashells in a nod to the town’s seaside heritage, creates a visually impactful and hard-wearing exterior. Unique Fabrications used techniques such as thermoforming to create the panels and installed the cladding using a Keil mechanical fix system. On the northern face, the cladding functions as a ventilated façade, which also gives the building an appealing openness. The western façade has a cantilevered canopy for greater solar shading, while the southern edge has fewer apertures and a more solid appearance. These features help the structure to achieve its all-important sustainability targets, and the building is rated ‘BREEAM very good’. Corian® Fabricator: Unique Fabrications Ltd.
To book your place on the RIBA approved CPD seminar ‘Solid Surfaces for Rainscreen Façades’ please use the contact details below.